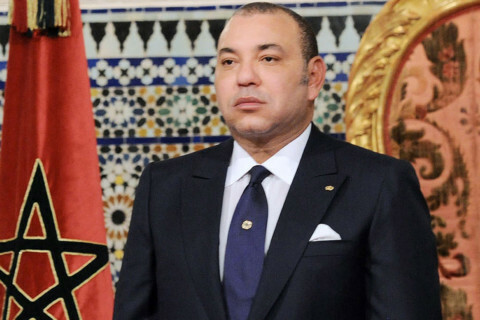 Dubai: Morocco’s king has touted his country’s political reform and economic and human developmental achievements during a speech delivered to the nation on Saturday on the occasion of the 17th anniversary of his accession to the throne. King Mohammad VI said that Morocco was entering a “new era” and said upcoming parliamentary elections reflected his commitment to give his citizens access to power and change. “The power lies with the citizens who have a duty to choose their representatives and hold them to account,” he said. He promised his government would ensure the process was fair and transparent and punish anyone who violated the law. King Mohammad VI also cautioned Moroccans to not fall suseptible to schemes aimed at creating chaos during elections. He warned political parties and opposition to “stop using the nation to settle personal accounts”. He vowed to fight corruption in all of its forms but said it had to be a joint effort between the government and its citizens. On the economic front, King Mohammad VI said there was a surge in international companies investing in Morocco. “There are many projects launching worth millions, such as Peugot, the Chinese companies involved in the Tangier strategic industrial zone project – which will cover 1000 to 2000 hectares – Russian companies,” he said. “A number of international companies have also shown interest in the Noor-Ouarzazate project, the largest solar energy farm in the world,” he added. He also pointed to the surge in French and Spanish nationals who have set up private businesses in the country. “They enjoy the peace and tranquility of life here, under the protection of the state. They are also well received and respected by Moroccans,” he said. King Mohammad VI also praised the work of the country’s security services who had managed to foil many terrorist plots and undermine efforts to distrupt public order. Just last week, security forces arrested 52 people allegdly involved in several terrorist plots across the country. UAE President His Highness Sheikh Khalifa bin Zayed Al Nahyan has sent a congratulatory cable to King Mohammad VI on the anniversary of his accession to the throne. Vice President and Prime Minister of the UAE and Ruler of Dubai, His Highness Sheikh Mohammad bin Rashid Al Maktoum, and His Highness Sheikh Mohamed bin Zayed Al Nahyan, Crown Prince of Abu Dhabi and Deputy Supreme Commander of the UAE Armed Forces also sent similar cables.